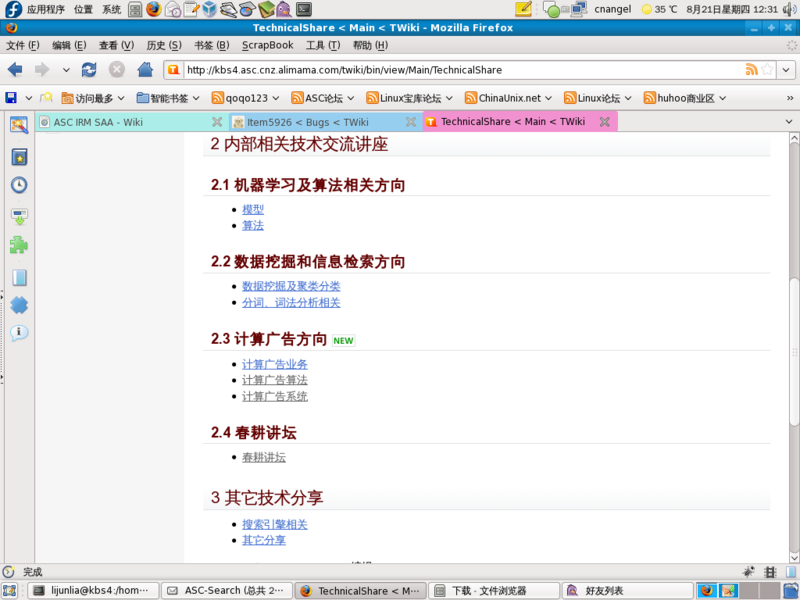 some topics in firefox and ie. are different. This bug report is impossible to react on. You attach a .swp file which is something I cannot even find a Google hit for. And you attach some html files. We need to see the original topic and we need to see screen shots in a format we can see (gif, png, jpg). We also need to know your settings. I can see that your html is full of utf8. Is this a Chinese topic in UTF8? And what it is that is different? Most of us cannot read Chinese so you have to explain very detailed what the problem is. According to file TechnicalShare1.txt.swp, this is a VIM swap file (I'm not really a VIM user, so I don't see how this could be of use since ":rec"[over] doesn't work for me). 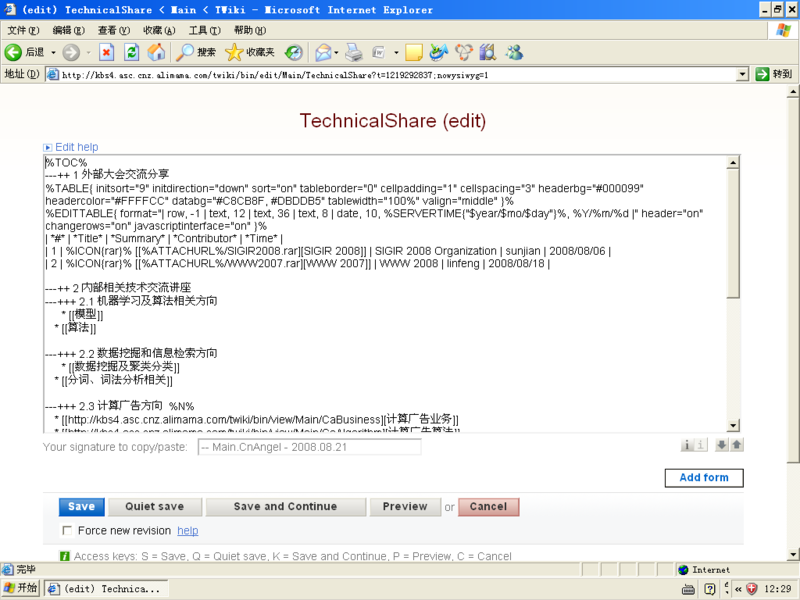 CfcnAngel, it would be helpful if you could upload the TML source as well (i.e., http://kbs4.asc.cnz.alimama.com/twiki/bin/view/Main/TechnicalShare?raw=all ), because external access seems to be blocked. some bugs are repaired . 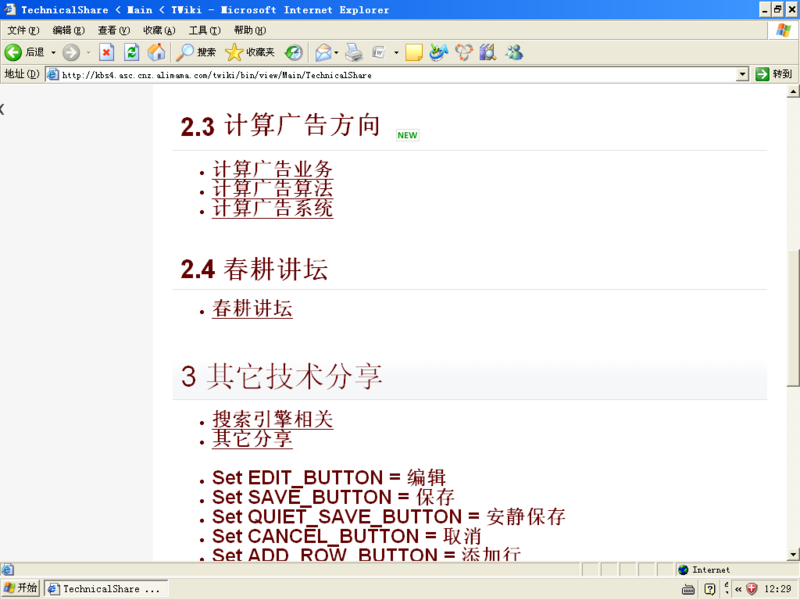 i use my Chinese topic in UTF-8 and the charset is utf-8, too. this problem is depended on urlencode. some Chinese char should do this. 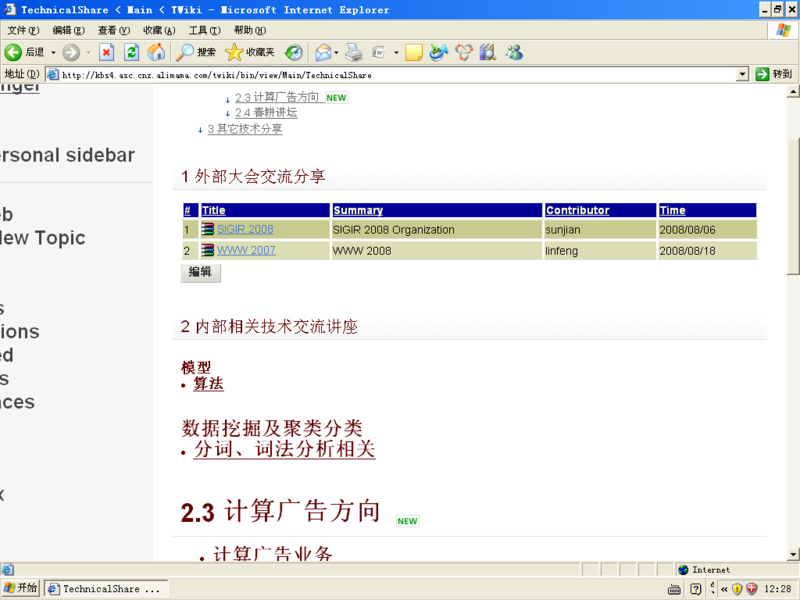 I do not know how to interpret the http://my.huhoo.net/archives/2008/08/twiki422bug.html . Is that supposed to be a patch? I provide old version files about 4.2.1 and my new patch files , there are some pictures about bugs for you. You can use order diff to compare the different and create the patch files. the patch solve some chinese or East Asia char strip some char, eg: '>', and so on. 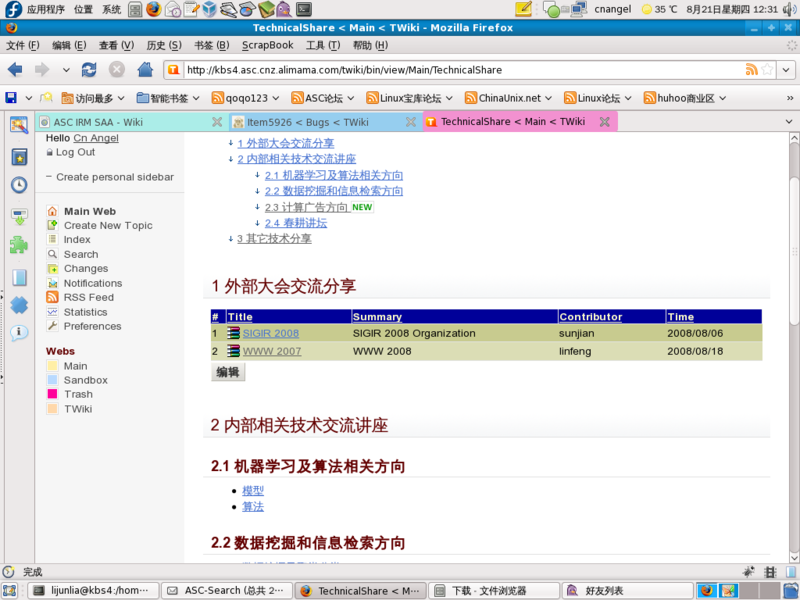 by the way: I register my account in twiki.org, like CnAngel, CfcnAngel and CfcfcnAngel, but i use to fail after some days. Why??? I report some bugs about twiki, and i can't use the account, like CnAngel, CfcnAngel and CfcfcnAngel, how can i do? Could you attach the RAW .txt file for TechnicalShare. Zip it first so no conversion happens. We need to have the raw source for the topic you view. Not the HTML file seen from your browser because we cannot even open it because it contains internal references that only work from your computer inside your firewall. Please give me a account, i am tried. I have confirmed the bug finally. It could have been faster if we had known all the facts from the beginning. The result is that in IE only the entire layout of the left bar is goofed up and all fonts in the page become large. We are not talking that the two look different but the entire layout is garbage and useless. I looked at the screen shots for a long time trying to see how the Chinese signs differed between IE and FF but this was not the problem. The entire IE layout is destroyed. The screenshots from IE are not zommed in. They look like this. I renamed the account renamed discussing it with Junliang to "AngelLi". Let's defer that to after 4.3.0 release. I re-prioritized this from urgent to normal. Anyone with interest in I18N can pick this up and fix.